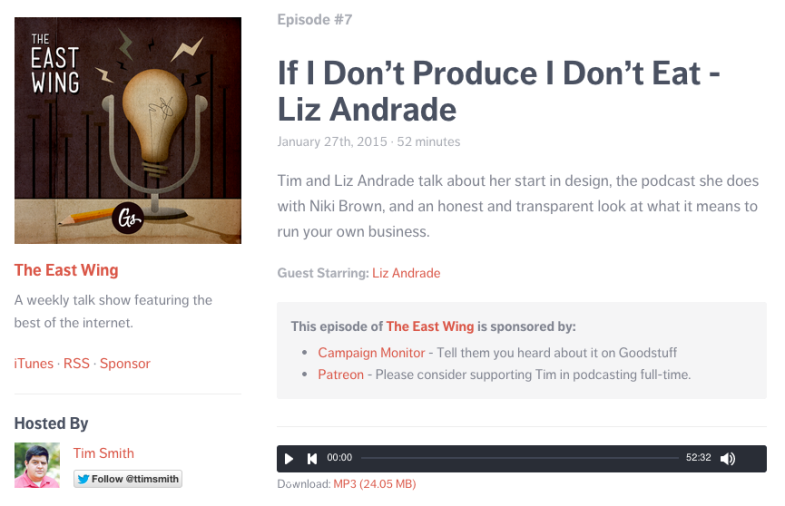 I am a fan of both Tim’s podcasts and Pagebreak Podcast. 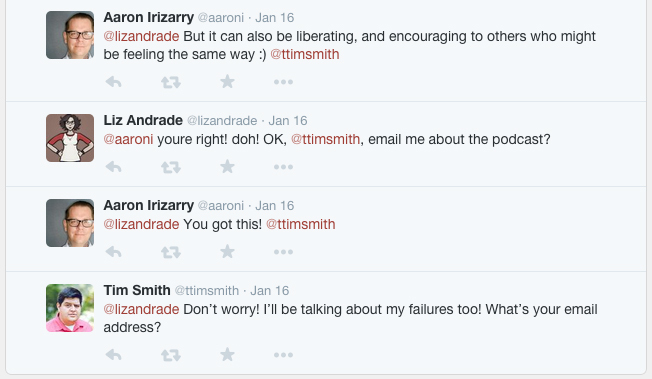 I appreciated you both opening up on The East Wing EP07 and talking about the real struggles involved in freelancing. The industry feels like it is in the middle of a transition, and many people are experiencing what you are. By exposing our struggles as freelancers, perhaps we all can help each other improve our processes by talking about what works and what doesn’t. Thanks again for your bravery. Thanks Liz for being so open and candid, I listened to the episode a day or so ago and wanted to say thank you. I too am going through a bit of a struggle/indirection and hearing what you’re going through and how weirdly similar it is for me really resonated. Here’s to 2015 being a year to get back on track, Damian! Keen to listen to this. Been a struggle year for me so far and good to here other peoples journey’s! I listened to the episode and hearing what you’re going through was very helpful and encouraging for me, thank you. 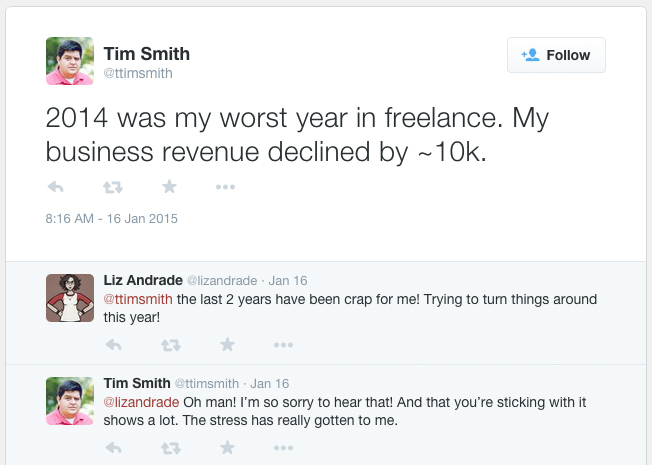 I absolutely agree that by exposing our struggles as freelancers we help a lot each other.